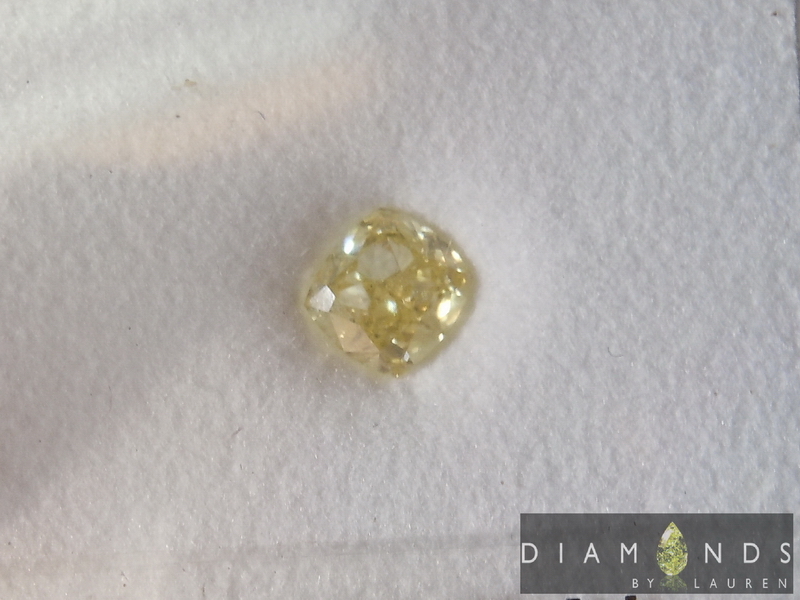 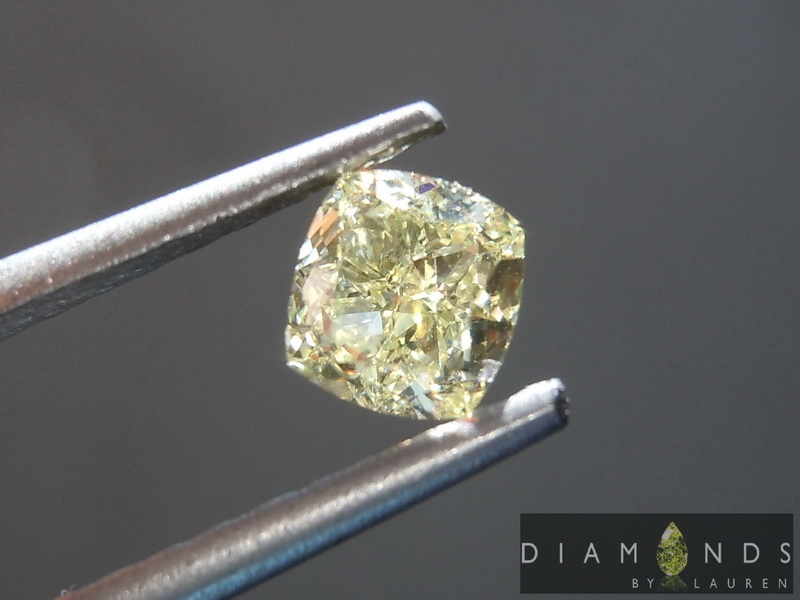 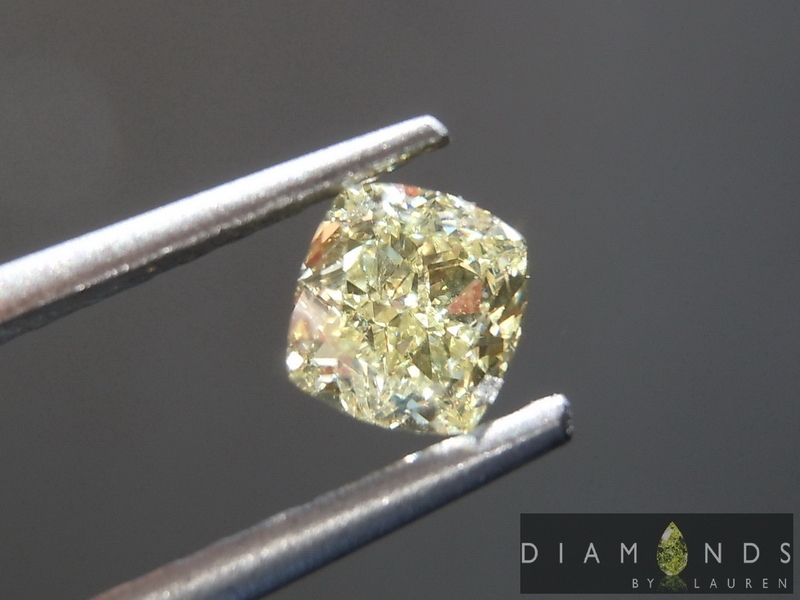 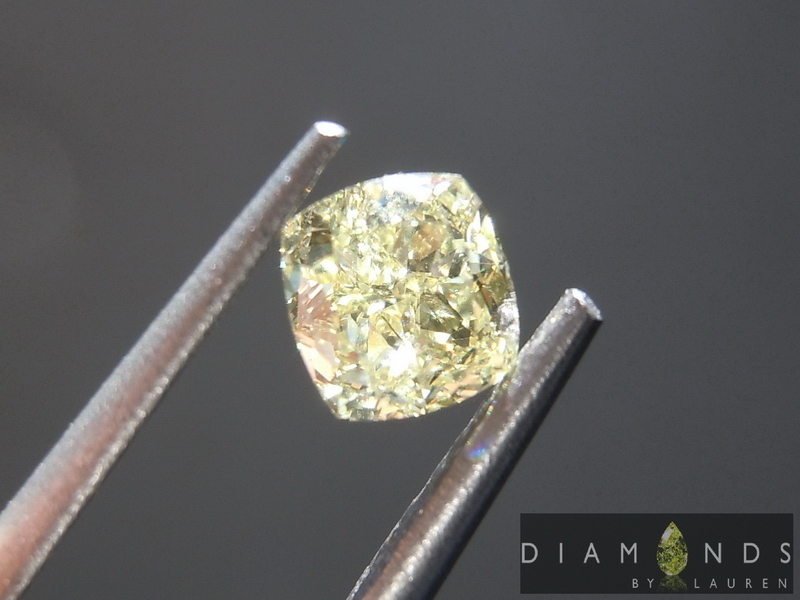 This is not your average radiant cut diamond. 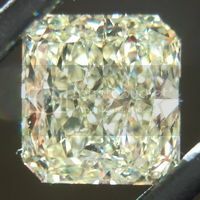 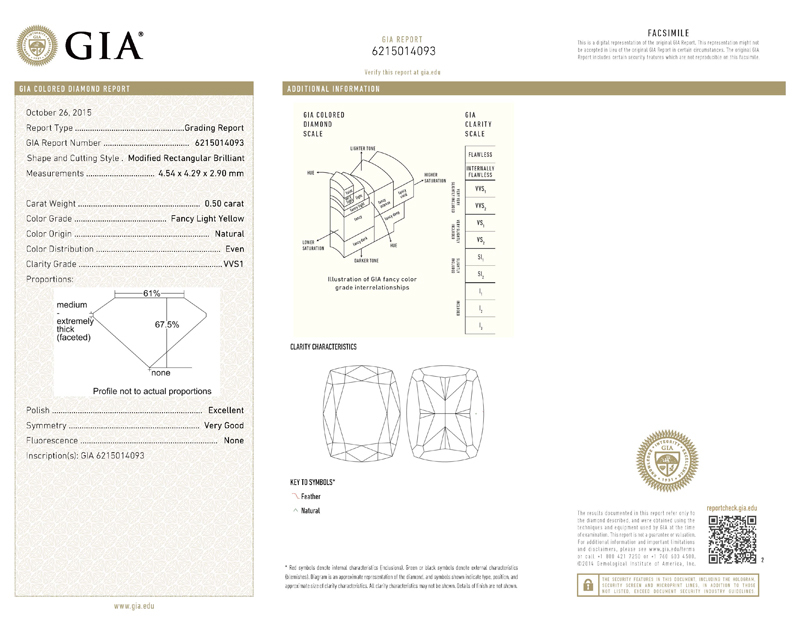 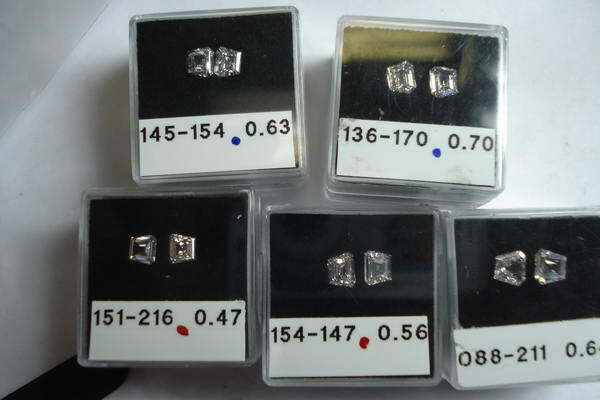 GIA labeled it as a "Modified Rectangular Brilliant" diamond. 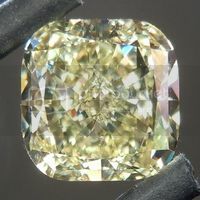 It has beautifully bowed edges and yet obvious pointed corners. 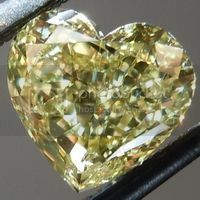 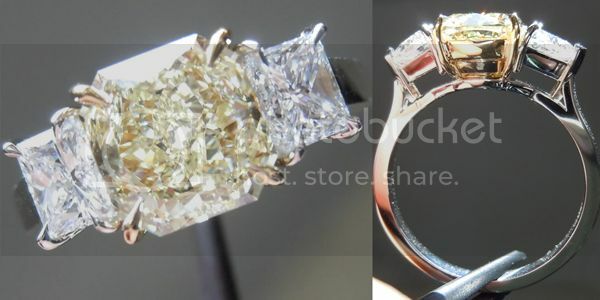 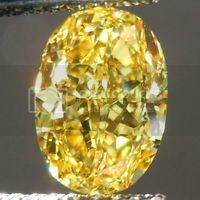 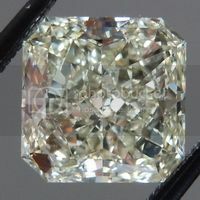 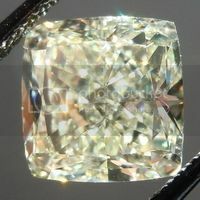 We are calling it a radiant cut even though some might want to classify it as a cushion cut. 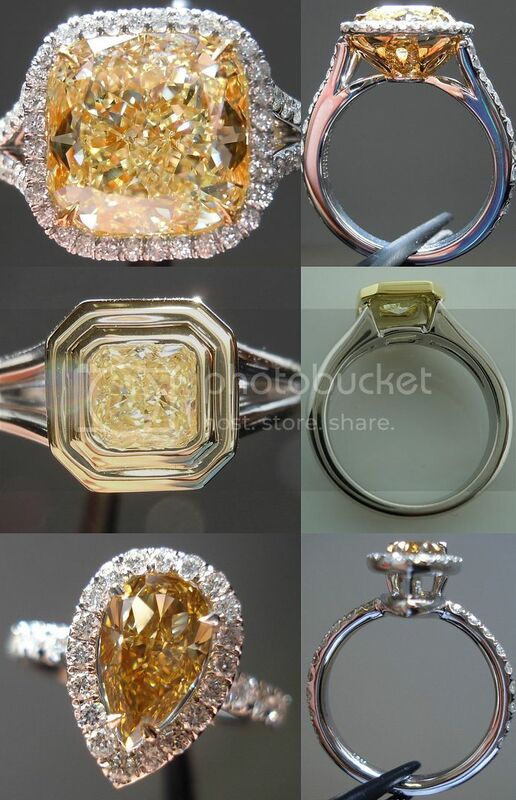 Radiant or Cushion, this is one sweet stone. 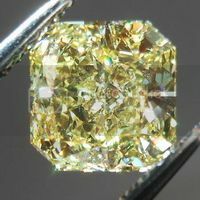 Beautifully cut and a fantastic lemony yellow color.